protest the alleged loss of their farmland to a drainage project. 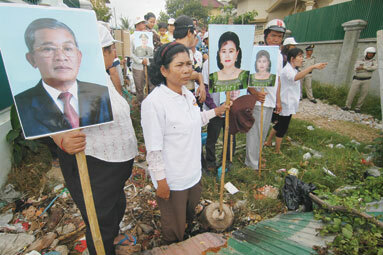 “They are encroaching on the land where we’ve planted our crops,” Oen Sothon said. company rather than being used for the drainage project, he added. for their eviction passed without incident.